The wait is over. March Madness is here! 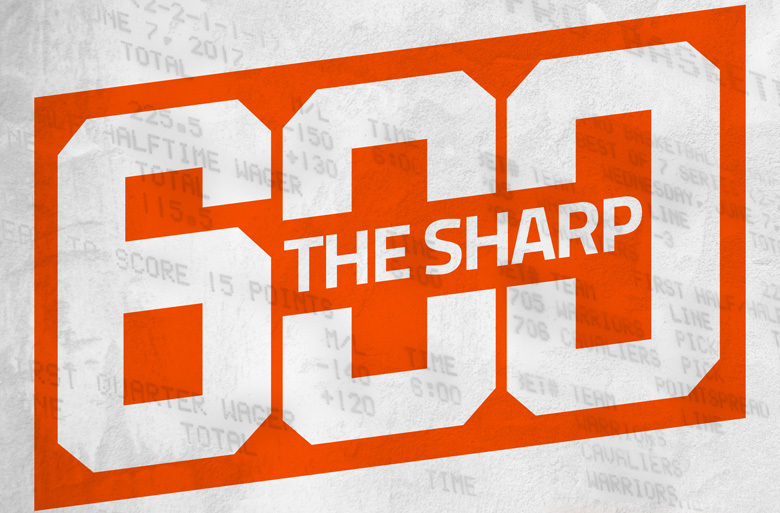 The action tips off Thursday and Covers editorial staff is breaking down each regions bracket and betting odds, totals, trends and giving out best bets for each and every matchup. The Golden Gophers haven’t been great on offense this year, and they’ve been even worse away from home. Minnesota is shooting just under 41 percent from the field outside of Williams Arena, averaging only 63.6 points in those games – a huge drop from its 77.9 points-per production at home. Louisville will likely throw some zone at this bigger Gophers team and force them to do damage from the perimeter. The Cardinals are among the best defenses in the country and venue hasn’t been an issue, allowing just 40 percent shooting in foreign gyms. Minnesota put up just 49 points in a loss to Michigan in the Big Ten tournament and has failed to crack the 65-point plateau in five of its last eight contests. Going Golden Gophers Under 65 total team points in this tournament opener. Everyone and their dog is in love with Yale, which has slimmed this spread from Louisiana State -9 to -7.5 heading into Thursday openers. And there’s a lot to love about the Bulldogs (and plenty not to about LSU). Yale enters the NCAA off an Ivy League title and brings one of the best offenses in the country to the table, putting up more than 81 points per game and shooting a blistering 49.8 percent from the field. They have four guys putting up double figures a game and a fifth scoring more than nine points a contest. 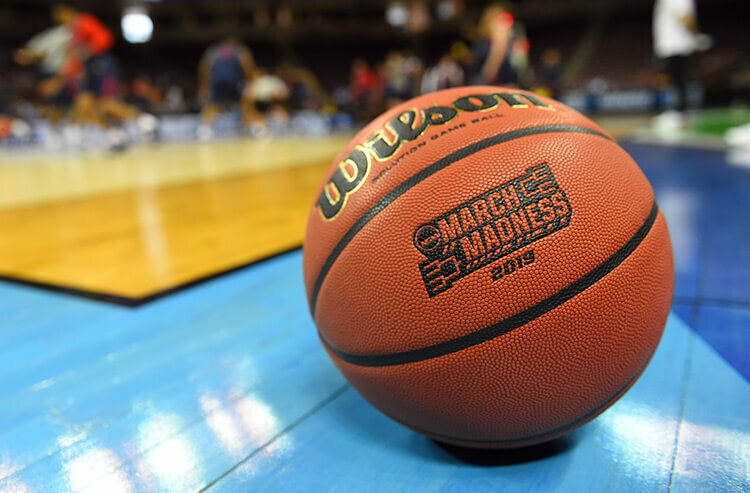 The Tigers are reeling a bit from their sad showing in the SEC tournament and the controversy swirling around suspended head coach Will Wade. Interim coach Tony Benford was in over his head in the conference tournament, and it ended up costing LSU the game. As I said, not a lot to love. Now, given the line move and the fact that 58 percent of bets are riding on Yale, I’m hesitant to side with the public opinion. Louisiana State is the more talented team and should own every rebound, forcing the Bulldogs to be perfect from the field. So, what I will do is go Yale to cover the +4 in the first half and poke the public in my own special way. Bradley was a +800 long shot to win the Missouri Valley Conference, sitting behind four other contenders priced at +575 or lower. Yeah, the Braves shouldn’t really be here, but they stole their conference crown and are rewarded with a matchup against No. 2 Michigan State. The Spartans barnstormed the Big Ten tournament and knocked off rival Michigan to claim their conference title, thanks in part to strong second-half efforts. Over their last four outings, the Green and White have outscored foes by an average of 40.25 to 31.25 in the final 20 minutes. Bradley has long since cooled from its MVC run, having been sitting around since March 10, and will be making its first tournament trip since 2006. The Braves may make things interesting in the early goings, but MSU will eventually overwhelm and cover the spread once again – adding to a 24-10 record against the spread. Spartans -18.5. Belmont breaks into the Round of 64 off a victory against a talented Temple team in the First Four Tuesday. The Bruins are the darlings of many a bracketologist, earning an at-large bid from the selection committee after losing in the Ohio Valley title game. That should tell you something about this mid-major program. Belmont can score. The Bruins ranked second in the country in points per game and pick up almost 36 percent of their tallies from beyond the arc – a telltale sign of a Cinderella school. They’re also big, with five rotation players standing 6-foot-7 or taller, so don’t expect the Terps to just push them around. The Bruins were able to get an 0-7 NCAA monkey off their backs versus Temple and won’t be wowed by a power program. Belmont went toe-to-toe at Purdue in non-conference play and will get a Big Ten head for their trophy wall Thursday. Belmont +140 moneyline. There has been heavy line movement here as the Seminoles opened at -14.5 but has been bet all the way down to -9. Bettors obviously feel like this is a tough matchup for FSU and it’s easy to see why. The Catamounts will be more rested as their three conference tournament games happened between March 9th-16th and were all at home. FSU played its three ACC Tournament games in three days between March 14th-16th at a neutral site. Vermont also gets a bit of a home-court advantage as this game is less than 200 miles from campus. Add to that the fact that FSU’s strength is its inside play and Vermont’s strength is its guard play and we see why bettors are backing the Catamounts. Florida State, however, is one of the deepest teams in the country with 11 players averaging over 10 minutes per game. The three games in three days last week shouldn’t be an issue and the Seminoles’ rotation will help them take over the game in the second half. Vermont should come out flying with the crowd behind it, however, and could take advantage of a Seminoles team who might be lacking motivation early after playing its last two games against two of the best teams in the country. Take Vermont at +5 for the first half. This is the must-watch game of the day in the West Region as star guards Markus Howard (25 points per game) and Ja Morant (24.6 points per game) go head to head. Howard can light it up with the best players in the country but which version will show up? The one that shot 6.7 percent from the field in the Big East semifinal or the one who shot 53.3 percent from the field in the quarterfinal? Morant, meanwhile, is absolutely on fire and put up 32.5 points per game during the Ohio Valley tournament. It’s not often that Howard isn’t the best player on the court, but in this matchup, that title goes to Morant. He has led the Racers to 11 straight wins and a 7-3 ATS record in their last 10. The Racers have the best player on the court but also have an edge that should limit the Golden Eagles. Marquette relies on the three ball, averaging 9.4 threes on 39.3 percent shooting while getting 36.4 percent of its total points from the long ball. Murray State, meanwhile, is one of the top teams in the country at defending the three, allowing opponents a 28.5 percent 3-point percentage, the fourth-best defensive mark in the nation. This game has the classic 12-vs-5 upset written all over it. You’ll be riding with the public by betting this one, but grab Murray State at +4 (and perhaps sprinkle a little coin on the money line). Here we have a team that has come on strong of late and has been in must-win mode for a while against what could be one of the most overrated teams in the country. Florida was on the outside looking in as a bubble team until it went on a nice run through the SEC Tournament that included a win over LSU in the semis and a three-point loss to Auburn in the finals. The Gators have won four straight ATS and are 7-3 ATS in their last 10. Florida’s overall record doesn’t look pretty at 19-15 but it had the 18th toughest schedule in the nation, according to KenPom. Nevada, meanwhile, cruised through the season with a 29-4 record but played just two Quadrant 1 games all season — both against Utah State where they went just 1-1 — and its strength of schedule ranks 111th by KenPom. The Wolf Pack also have a serious injury concern with Jordan Caroline, their second-leading scorer (17.3 per game) and top rebounder (9.6 per game). He missed the Mountain West semifinal — which Nevada lost 65-56 to San Diego State — with an Achilles injury and, even though coach Eric Musselman says he was held out for “precautionary reasons”, some reports out of Nevada say the injury is more serious than the team is letting on. Take the Gators with the plus points and toss a little on the moneyline. Gonzaga opens against Fairleigh Dickinson after the Knights beat Prairie View A&M 82-76 in a First Four game in Dayton, Ohio, on Tuesday evening. The Zags, of course, are coming off a loss after scoring a season-low 47 points in the WCC title game against Saint Mary's. The Knights have been good to bettors of late, having gone 8-1 ATS during their current nine-game win streak. That, along with the massive spread, might appeal to some but keep in mind that the Bulldogs beat teams by an average of 23.8 points this season and are 6-2 ATS with a spread of -25 or higher. Here we have a rematch of last year’s first-round game where Michigan beat Montana 61-47 as the third seed in the West to kickstart its run to the Final Four. An interesting note here is that the Wolverines were coming off a surprise Big Ten title and then came out flat as the Grizzlies jumped out to a 10-0 lead. This season, Michigan is coming off a disappointing Big Ten title game where it blew an eight-point halftime lead in the loss to Michigan State. First-round games can sometimes be let-down situations for some of the top teams but this is not one of those with the Wolverines coming off a loss. And you can guarantee that coach Jim Beilein will be constantly reminding his team about Montana’s start last season. One more thing to note: Michigan fans travel well and this game takes place at a reasonable 500 miles from campus, while Montana is over 1,000 miles from home. Expect the Wolverines to come out strong here and take Michigan -9 for the first half. Bonus bet: If Michigan jumps out a large lead, look to grab Montana with the biggest live spread possible as the Wolverines are not a deep team and will look to rest its players late. Syracuse rested its best player Tyus Battle (17.2 points per game) during the ACC Tournament because of a lower-back injury but he is back at practice and ready to go for Thursday. Then there’s the Syracuse 2-3 zone defense. ACC teams are used to it but out-of-conference teams generally aren’t. 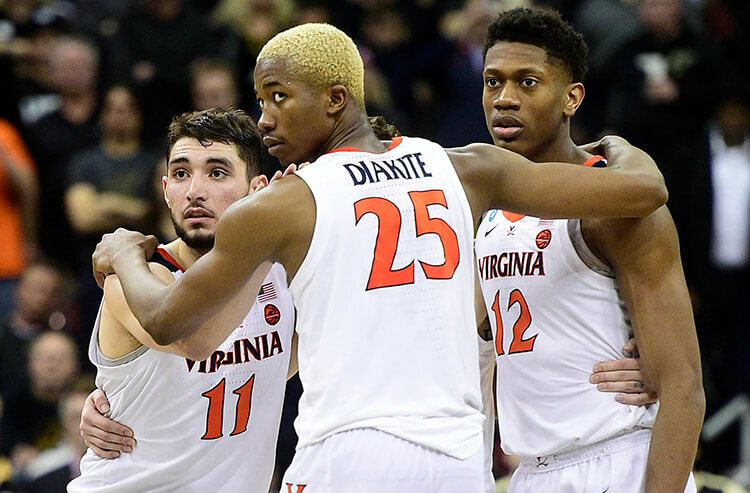 Stats back this up as the Orange are 4-0 ATS in their last four NCAA Tournament games. Baylor heads into the tourney as losers of four straight and is 0-5-1 ATS in its last six. The Bears have also won just one road game since Jan. 28th. Injuries have plagued the Bears as they lost Tristan Clark (14.6 points per game) for the season in January and star guard Makai Mason is banged up with a toe injury. If Mason can hit a few threes, which he is certainly capable of as a 36.5 percent 3-ball shooting on the season, Baylor will have a chance, but Syracuse is the better bet here. Take the Orange -2. Update: Syracuse's starting guard Frank Howard (8.9 points, 2.9 assists) has been suspended. Spread down to Syracuse -1.5. There are few teams entering the NCAA Tournament with more momentum than Auburn, which reeled off four victories (3-1 ATS) in four days to capture the SEC Tournament title and earn the fifth seed in the Midwest Region entering Thursday’s first-round matchup with 12th-seed New Mexico State. Now, the 12-5 matchup is always one bracket builders love to circle as a potential upset. And they may be thinking this is a good spot to pencil in New Mexico State considering it brings a 19-game winning streak into the tournament. But we’re here to tell you to look elsewhere. A quick look at the standard stats and you might think the Aggies were a good bet. They run the floor well, have a good scoring defense and rebounding. But their advanced stats aren’t as strong. The Aggies rank near the bottom of the country in true shooting percentage and are one of the worst teams in the Tournament in adjusted defensive efficiency. They are also one of the worst 3-point shooting teams in the country, going up against one of the best. Auburn shoots almost more 3-pointers than anyone, hitting 37.2 percent of its attempts. But the big factor will be ball security. The Aggies turn over the ball too much against a Tigers team that hustles on the defensive end, ranking third in steals and 13th in blocks per game. If the Aggies get down early, they don’t have the tools to come back and their shots will eventually drop. Lay the 5.5 points with Auburn, this spread should be close to -10. What a roller coaster of a season for the Jayhawks. They enter the Tournament without being the Big 12 Tournament champion for the first time in 15 seasons. They lost Udoka Azubuike to a season-ending injury as well as Lagerald Vick and the lack of depth behind Dedric Lawson has shown, especially on the road. The Jayhawks went 22-1 at home and on neutral sites and 3-8 in true road games (2-9 ATS). 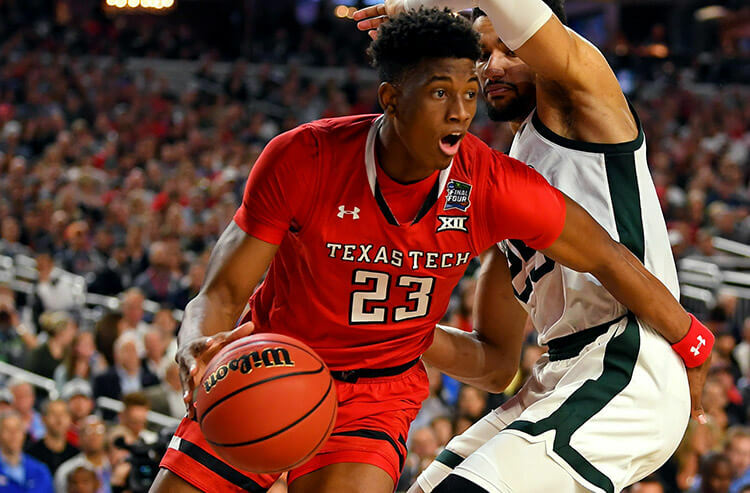 Bettors look like they are jumping on Kansas’ troubles, moving their line against the Northeastern Huskies to-6.5 from the opening number of -8.5. The Huskies find themselves in the Big Dance for only the second time since 1991-92 after knocking off top-seeded Hofstra 82-74 in the Colonial Athletic Association title game. But bettors may like the fact they won 16-of-18 (13-4-1 ATS) on the back of their 3-point shooting. They rank 22nd in the country in 3-point percentage, while Kansas can have problems defending the perimeter. The problem is the Huskies don’t really play much defense, ranking 144th in adjusted defensive efficiency and Kansas, and they also have a big edge on the glass. The Jayhawks rank 44th in rebounds, compared to 306th for the Huskies. People are betting for the Jayhawks struggles to continue here, but to be fair those struggles have mostly come against the likes of Iowa State, Texas Tech and Kansas State among. Kansas’ young players are getting better as the season has gone along and its athleticism will wear out Northeastern in the end. The Jayhawks may not go deep in this Tournament, but they should be more than 6.5-point faves here. Lay the points and take a look at the Over as well. Fantastic Simpsons jokes aside, the Kentucky Wildcats face off against the Abilene Christian Wildcats in a 15-2 matchup. Kentucky is fully healthy and maybe playing their best basketball heading into their opening matchup against 15-seed Abilene Christian. Graduate transfer is back Reid Travis (11.1 points, 6.9 rebounds) averaging 9.5 and 6.5 in two SEC Tournament games after missing five contests with a knee injury. Travis is a big part of Kentucky’s depth. Four Wildcats average double-digit points, led by P.J. Washington at 14.8 ppg, while shooting almost 42 percent from beyond the arc. Fifteen seeds have beaten 2’s before but maybe look elsewhere if looking for an upset. Kentucky ranks 7th in the KenPom rankings while ACU sits at 145, so the 22-point spread is reasonable, but will they cover the number? Kentucky was a 20-point for greater favorite five times earlier in the year, going just 1-4 ATS. But, they had an average first half margin of +15.8 in those games. The ACU Wildcats on the other hand is making its first Tournament appearance since becoming a Div I team in 2013-14. While ABU shoots well from 3-point range (which Kentucky struggles with defending a bit) but it could take them a bit to get used to the bright lights of the Big Dance. The Wildcats are going to win this one… err the one’s from Kentucky, but to be safe back them on the first half spread of -13. The Wofford Terriers are set up to be the darlings of this year’s Tournament. The Terriers head into their opening round matchup against Seton Hall having won 20 games in a row – the longest streak in the nation. The Terriers achieved that streak by being one of the best 3-point shooting teams in the county, ranking second in deep ball percentage at 42.1 percent with their top four scorers hitting a combined almost 44 percent. The Terriers are led by senior guard Fletcher Magee who scores 20.8 ppg on almost 43 percent from three. He also hits over 90 percent of his free throws. Meanwhile, Seton Hall won four of its final five games and played its way off the bubble with a run to the Big East Tournament championship game, where they lost 74-72 to Villanova. The Pirates went 5-0 ATS in their last five games. But the Pirates defense can be suspect at times and even worse they can go ice cold from the field. They rank in the bottom third in the country in 3-point shooting percentage and true shooting percentage. In the end, the Terriers shot making ability will be the difference in this matchup. If you can still find Wofford at less than 2.5-points jump all over it, but -3 is still a decent number. This Villanova side certainly isn't the obvious championship contender that their squads in the recent past have been, but they're a well-coached unit that seems to be gelling at the right time. Their third-straight Big East Championship last weekend hints that their seeding for the NCAA Tournament might be a tad lower than they deserve. The Gaels are on the other end of the spectrum, they enter coming off an absolute shocker of a 13-point upset win against Gonzaga in the West Coast Conference championship game. But the truth is that game was an absolute trap for a Gonzaga team that has championship aspirations. In their other two games versus the Zags, St. Mary's lost by 14 points at home and 48 points on the road (yes 48, that isn't a typo). A matter of fact, arguably their only other impressive victory this season was against New Mexico State back in Novemeber. Other than that, they've lost by four or five points - at home - to their other quality opponents UC Irvine, LSU and Mississippi State. Villanova has an inside-outside duo, in seniors Phil Booth and Eric Paschall, with a talent level that Saint Mary's is not used to defending against. We think the line is a bit closer in this game than it should be due to that recent upset win and we're leaning towards Villanova covering. Take Villanova at -4. Purdue led by high-scoring guard Carsen Edwards and his 23 points per game take on an Old Dominion team that succeeds on the defensive side of the ball. The Boilermakers rank fifth in the country in Adjusted Offensive Efficiency according to KenPom but shoot an ordinary 44.6 percent from the field while Edwards shoots just 38.6 percent. The Monarchs allow just 60.8 points per game and hold opponents to 39.1 percent shooting. Old Dominion also plays at one of the slowest paces in the country, averaging just 67.1 possessions per game while Purdue doesn't play a whole lot faster generating just 68.3. Old Dominion's strength of schedule wasn't the toughest but in two games against teams from Power Conferences they proved that their defense was legit. They held Oregon State 12 points below their season average and Syracuse eight points below theirs. The Monarchs shoot only 41.1 percent from the field and will really struggle to score in this one especially against a Purdue defense that doesn't get the publicity of it's offense but is still solid, holding opponents to 66.8 ppg and 42.1 percent shooting. Take the full game total Under 127.